1. Fight for your vision against a bunch of doubters. 2. Become suddenly recognized for having a singular vision that speaks to the times and hooks lots of fans; gain recognition as a visionary/genius. 3. Have a great time collecting accolades. 4. Have a hard time for some unspeakable reason that has to do with the pressure to live up to the hype and the scrutiny that comes with said hype. 5. Come down from the high as the world moves on from your modern-day classic. 6. Struggle to repeat that success; mostly fail, occasionally succeed. 7. Realize even one classic in one’s life is worth celebrating. 8. Collect more accolades — lifetime achievement, best-ever lists, reunions, Oprah fawning over you, etc. 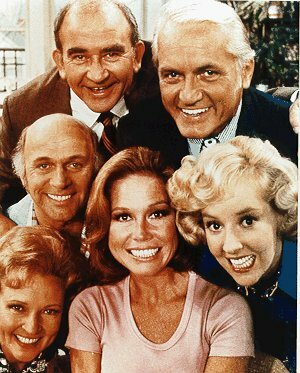 Reblogged this on Mary Tyler Moore Show Memories.